Today, Griffin Filtration launches full range of the iFIL Filter in Bauma Munich, Germany . iFIL carries a full range of filters which includes air filters, fuel filters, lube filters, hydraulic filters, and water filters. iFIL is focused on providing aftermarket replacements for construction, mining, marine, industrial and power generation industries. In addition, iFIL has access to an ISO 9001-certified factory that produces die casting parts, plastic injection parts, filter elements as well as completed filters, water separators and water purifier systems. 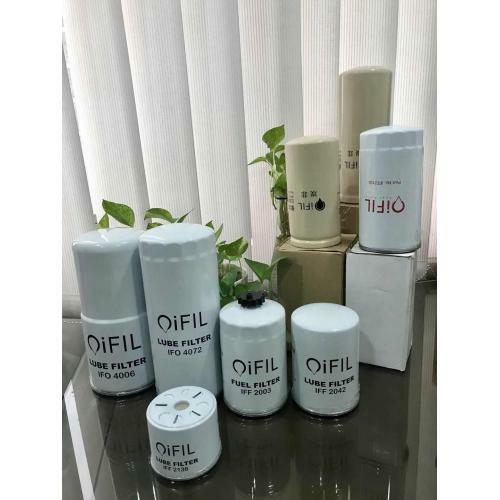 iFIL is a subsidiary brand of Griffin Group, a global provider of products and services for the filtration industry. In order to cater to the ever-growing needs of the heavy-duty, diesel engine filtration market for Off-Highway Vehicles – tractors, cranes, freight trucks, and the like – a full range of filters was developed under the iFIL brand.